Walter Harper / Sittin' Easy, Inc.
One look at the selection of furniture from Sittin’ Easy, Inc. by Walter Harper will have you hooked. These beautifully hand-crafted wooden pieces feature minimalist looks that complement both rustic and modern spaces perfectly. White oak hardwood is used to construct each piece of wooden furniture. 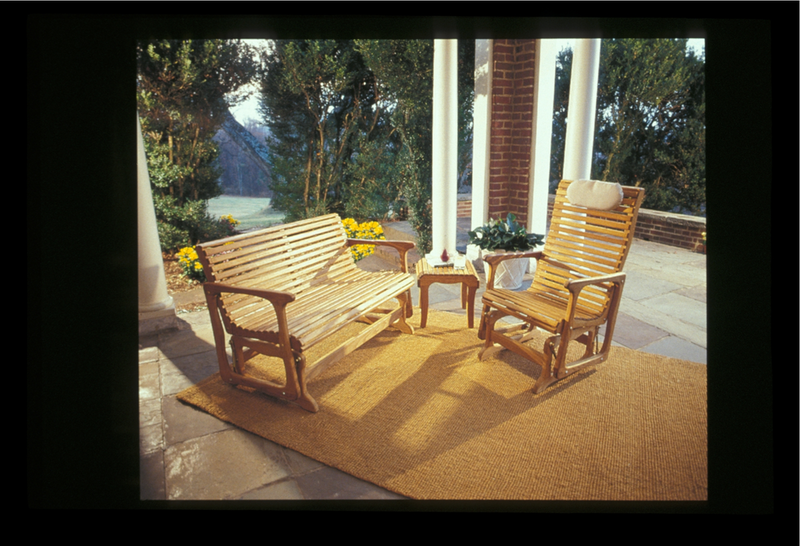 This wood offers a level of water resistance and durability that makes it ideal for use both indoors and out. And because Harper carefully designs each piece for optimum comfort, the curvature of each chair and bench eliminates the need for cushions. Harper believes in creating a product built for comfort, durability, beauty and the preservation of the earth's environment. Sittin’ Easy, Inc. offers a selection of wood furniture that is attractive, functional and environmentally sustainable all at once. Check out Harper’s latest designs at an upcoming Sugarloaf Crafts Festival to see just what makes these pieces so special.